On March 22, a second meeting for Sino-Italian cultural cooperation was held at the Museum of Ancient Art at the Palais Barberini in Rome, Italy. Luo Shugang, Minister of Culture and Tourism of the People’s Republic of China, and Alberto Bonisoli, Minister of Cultural Heritage and Activities of Italy, attended. Luo mentioned in his speech that the original opera Marco Polo, a joint product of Guangzhou and China Arts and Entertainment Group Ltd. (CAEG), is going to be staged on Genoa, Italy in September. 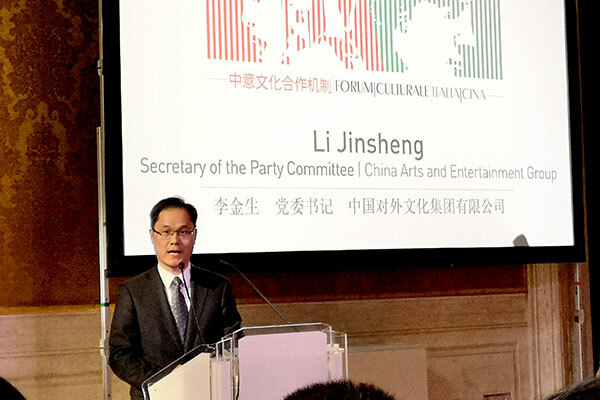 Li Jinsheng, chairman of CAEG, reviewed Sino-Italian cultural cooperation and exchange and announced that the original music drama Turandot will be staged in May 2020. “China and Italy are respectively located at the two ends of the Ancient Silk Road. Seven hundred years ago, Marco Polo, a famous Italian traveler, came to China along the Silk Road, unveiling the mysterious ancient eastern country to the western world and opening a new page for the history of human civilization. Today, we stage the story of Marco Polo, who served as a cultural messenger between China and Italy,” Li said. In response to the Belt and Road Initiative, CAEG put forward the planning idea of making an original Marco Polo opera in October 2016, aiming at displaying conflict, understanding and harmonization between civilizations along the Silk Road by operatic drama. As the first original product of the Silk Road International League of Theatres, Marco Polo was prepared in Guangzhou with the Guangzhou Opera House as its base. The creation and performance of Marco Polo improved the opera production level of Guangzhou and become a landmark in Guangzhou’s literature and art development. In May 2018, Marco Polo debuted at Guangzhou Opera House and the Beijing Tianqiao Performing Arts Center and gained great attention from all over the world. Marco Polo is a three-act opera sung in Chinese lasting for 168 minutes. Through the story of Italian traveler Marco Polo and his father and uncle who travelled to China by the Silk Road, the opera reproduces the flourishing and declining scenes of the Song and Yuan dynasties as well as the contests between justice and evil and civilization and barbarity focused on East-West trade and cultural exchanges. It expresses praise and prayers for human peace and world harmony. 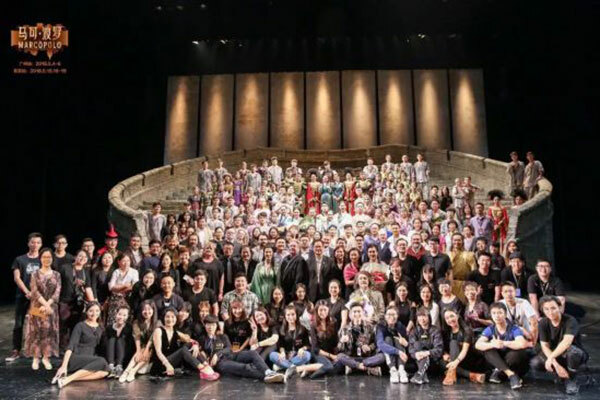 The opera crew comes from all over the world with different cultural backgrounds, which symbolizes the integration of Chinese and Western cultures. The splendid cast is led by Kasper Holten, former director of the Royal Opera House in London, Enjott Schneider, president of the Association of German composers, Tang Muhai, a world-renowned Chinese conductor and Luke Halls, creative director of multimedia at the closing ceremony of the 2012 London Olympic Games. Marco Polo is about to launch its second tour in 2019. It is going to be staged in China’s Quanzhou, the starting point of the Maritime Silk Road and performed in Genoa, Italy as the opening show of the 2019-2020 performing season of the Carlo Felice Theatre. Guangzhou Opera House, directly affiliated to CAEG, has introduced a number of outstanding Italian plays since it opened in 2010 and attracted a great deal of national attention. 2020 is the 50th anniversary of the establishment of China-Italy diplomatic relations. Italy is the home country of Marco Polo and Genoa and Guangzhou are cities of friendly international cooperation and exchange. 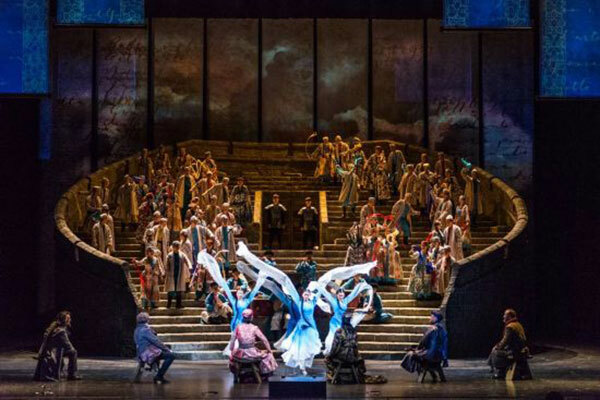 Staging of Marco Polo in Italy is a gift that Guangzhou and CAEG present to Sino-Italian friendship. It will deepen friendship between the peoples of China and Italy and be a hallmark event of the 50th anniversary of the establishment of China-Italy diplomatic relations. What’s more, the opera Courtier, performed by the Carlo Felice Theatre, and the opera Un Ballo in Maschera, performed by the Teatro La Fenice, will be staged in Guangzhou Opera House in May. Both of the Italian opera houses joined the Silk Road International League of Theatres in December 2018.